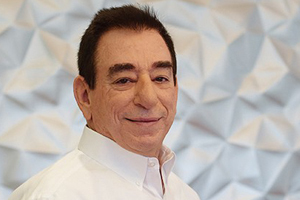 Len Schleifer founded Regeneron Pharmaceuticals in 1988, after graduating from Cornell University and being awarded his MD and PhD in Pharmacology from the University of Virginia. Certified in neurology by the American Board of Psychiatry and Neurology, he served as an Assistant Professor at the Cornell University Medical College in the departments of Neurology and Neurobiology. Dr. Schleifer has grown Regeneron from a tiny start-up to an over $40 billion market cap company with four FDA-approved medicines. The company has established key business collaborations and developed industry-leading technologies for drug discovery and development, resulting in a robust pipeline of drug candidates in areas of high unmet need.